Celestún is located in the western extreme of the state of Yucatan, almost in its limits with the state of Campeche and on the coasts of the Gulf of Mexico. Around the town, is the Ría Celestún Biosphere Reserve in which petenes have been developed, which extends through Yucatán and Campeche, has about 600 km² and is internationally recognized as the place of winter refuge for thousands of flamingos and many other species of birds. The ecosystem of Celestun is unique due to the combination of fresh water from the Celestun Estuary and the salt water of the Gulf of Mexico. 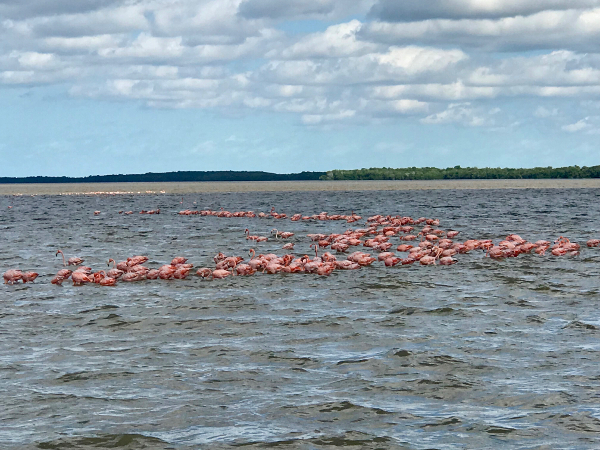 The flamingos of Celestún are of an intense pink color, due to the concentration of carotene in the water; The reserve also houses several species of birds, among which are the white pelican and the brown pelican.